In case of a cat emergency, waiting for an appointment is not an option. In a time of crisis, Newport Harbor Animal Hospital is open 7 days a week. 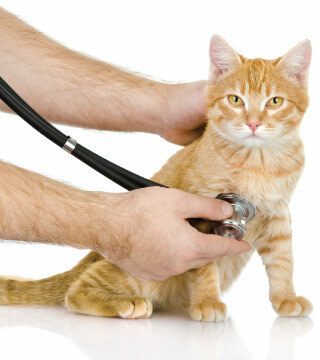 If your cat has suffered a sudden trauma or is experiencing any life threatening symptoms, please call us immediately at: (949) 612-2756 If you have an emergency outside the hours of 7am - 7pm (Monday - Friday) 7am - 5pm (Saturday) or 9am - 5pm (Sunday). Please call 949-833-9020 at Southern California Veterinary Specialty Hospital for after hour emergencies. If not, place him or her on their side and perform artificial respiration by extending the head and neck, holding the jaws closed and blowing into the nostrils once every six seconds. If you don't feel a heartbeat, incorporate cardiac massage while administering artificial respiration. This is done using six quick, firm chest compressions for every respiration, administered while your cat is laying on his/her side, until your cat resumes breathing on his or her own.